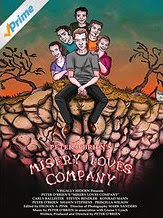 Misery Loves Company: MISERY LOVES COMPANY is now available on AMAZON PRIME! MISERY LOVES COMPANY is now available on AMAZON PRIME! PRIME members can watch the film for FREE with their subscription. Digital downloads are also available for $4.99 HD & $2.99 SD.